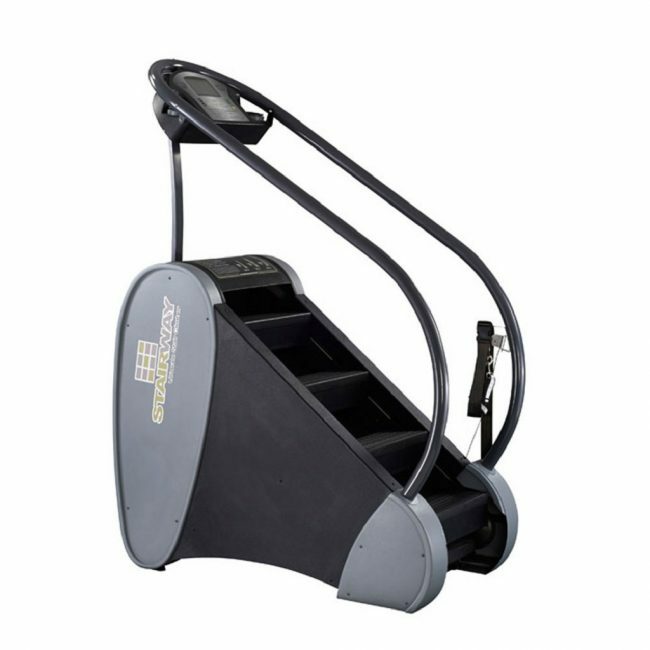 The Jacobs Ladder Stairway Stepper is a stair climbing cardio machine designed specifically for the commercial environment. 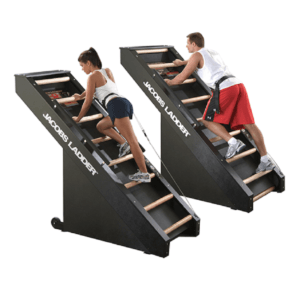 The unique design offers a rotating staircase where the speed of the stairs is controlled by the tension of the waist belt (which is identical to Jacobs Ladder). The higher you go, the faster the stairs come, so you are always in control of your speed. 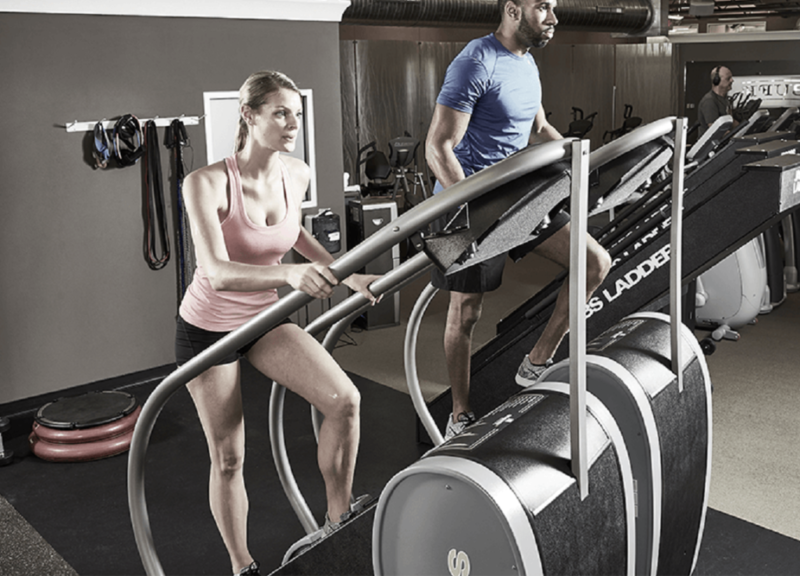 The cardio machine is self-powered so there is no need for a wall plug. 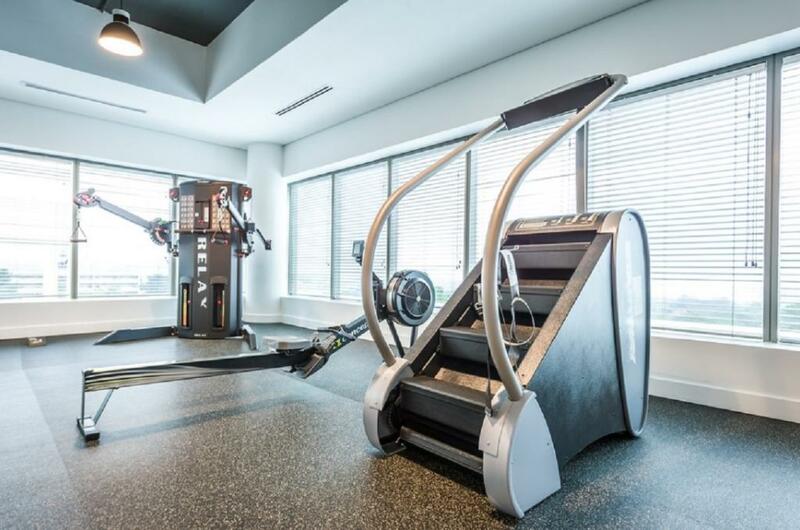 The ceiling height requirement is 8.5 feet and the width is 30.5”, so you can place it where most stair climbers won’t fit. 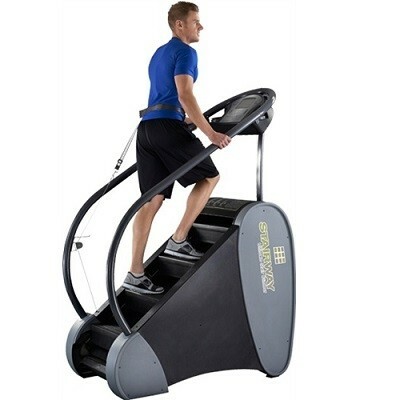 The display gives Stairs Climbed, Rate (steps/min), Elapsed Time, Calorie Burn and Heart Rate (with wireless strap). Initial step height of 11” is among the lowest on the market. 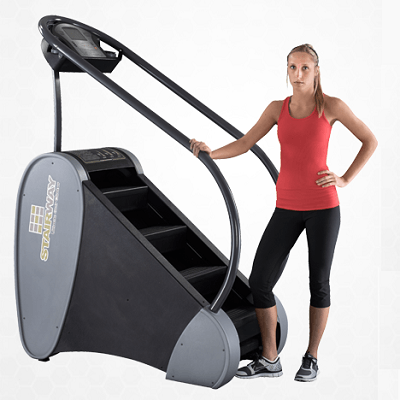 The Stairway Stepper is the Ultimate Stair Climber Machine!